"Disruption" is a testament to the considerable movement building work that’s happened over the past several years around climate change and extraction. 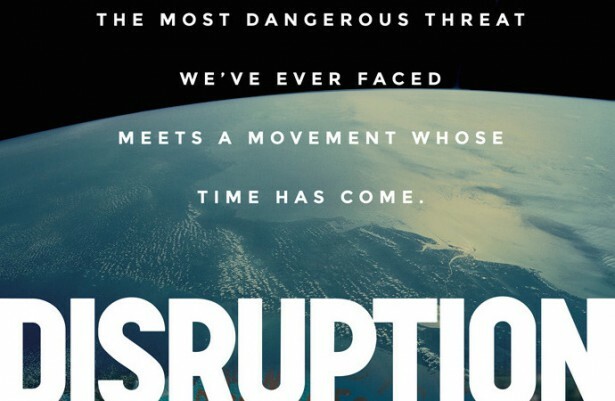 The documentary film “Disruption” premiered online and in a series of viewing parties across the country on September 7. The community screenings being held across the country are intended to build momentum for the People’s Climate March happening next weekend in New York, touted by organizers as the “largest climate march in history.” Whether or not this turns out to be true, which it well might, “Disruption” itself is a testament to the considerable movement building work that’s happened over the past several years around climate change and extraction. The film, clocking in at just under an hour, features interviews with a number of journalists and big names from within the climate movement: former NASA director James Hansen, writer Naomi Klein and Keya Chaterjee of the World Wildlife Foundation, among many others. Over 1,000 organizations — including labor unions, faith group and New York-based community organizing outfits — have endorsed the march, with groups like UPROSE and the New York City-Environmental Justice Alliance taking on leadership in recruiting people from across the country and New York’s five boroughs. First walking viewers through the sobering science of climate change and its root economic causes, the film then highlights the broad-based organizing going into the People’s Climate March in New York, as well as the necessity of these sorts of large scale mobilizations for social movements past and present. “Disruption”was produced by the same team that produced the “Do The Math” film based on the popular 2012 speakers series organized by 350.org, one of the main conveners of the march. As a student working on fossil fuel divestment before the movement exploded in the fall of 2012, it was incredible to see the surge of interest created by the Do the Math tour. Virtually overnight, the movement grew from roughly 30 campuses to almost 300. While the messaging didn’t exactly line up with what we had been saying on campus, something struck a chord and compelled thousands of students to start campaigns at their colleges and universities. The impressive campus organizing that’s happened since “Do the Math,” however, has had little to do with the event itself; it’s owed entirely to the hard work of students and the valuable support of organizational partners like the Responsible Endowments Coalition, 350.org and the Energy Action Coalition. As “Disruption” points out, a large event like the People’s Climate March can offer a similar movement building opportunity for the broader climate movement. Just as the success of the divestment movement was built on existing organizing — around fossil fuel divestment, as well as divestment from apartheid in South Africa and Palestine — the People’s Climate March will be more catalyst than birthing chamber. The march is not a beginning, but a next step. There have been a lot of tough conversations in the climate movement over the last several years, and there will need to be many more. The focus of “Disruption” on the systemic causes of the climate crisis and the people effected by it are a product of those conversations, and the efforts of grassroots organizers to push those narratives to the fore. There still exists a very real but slowly narrowing divide between the “climate” and “climate justice” movements, one spearheaded by larger NGOs and the other by typically smaller and more diverse grassroots organizations. The problem with climate change activism is that it is intended to spur governments to “do something” about a perceived or imagined problem. Asking governments to do something is akin to asking the Three Stooges to paint the interior of your house. If governments ever acquire power over the planet Earth’s climate, it will be time to consider moving to Venus or Mars.